Posted October 2nd, 2014 by TheGolfersClub & filed under Blog, Feature Articles. Playing golf is great fun and with millions of people playing the game in the UK on a regular basis, there are bound to be accidents. As with taking part in any sporting activity, there are a whole host of risks – which especially applies to golf. With this in mind, it is wise to consider a specialist golf insurance policy to ensure peace of mind when you’re out on the course. As well as a wide range of other policy benefits, The Golfers Club you can insure you in the event that you injure yourself, accidentally cause damage or injury by hitting a stray ball, or have your equipment stolen. We also offer a special hole-in-one extra to your membership so that if you ever manage to hit an ace, you won’t feel the effects in your wallet when you’re expected to buy everyone a drink in the clubhouse afterwards. The Golfers Club will cover your bar bill for up to £200 towards the drinks bill should you score that famous shot. The Golfers Club also includes 5 free rounds of golf at some of the UK’s most challenging and picturesque courses and gives you the option of UK, European or Worldwide cover. 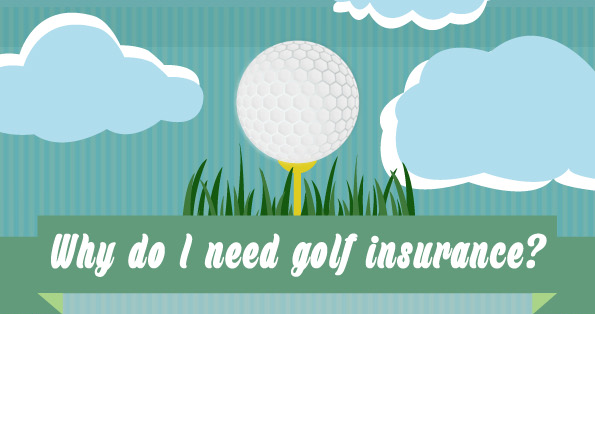 Follow our unlucky golfer down the 18th hole as he encounters all manner of trouble, but is safe in the knowledge he has specialist golf insurance from The Golfers Club.